Follow these simple steps for a cake that’s both impressive and stable. 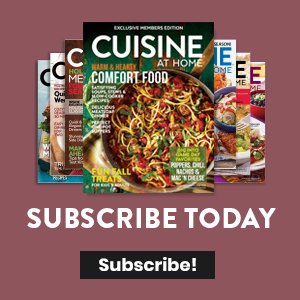 Trim domed tops of cakes with a serrated knife. 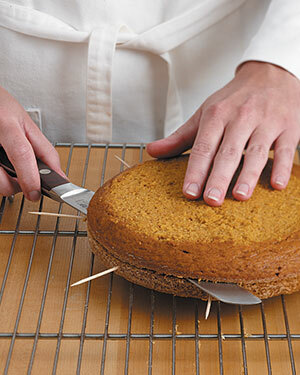 Insert toothpicks horizontally around cakes to use as your guide to evenly halve the cakes. Place one cake layer, cut side up, on a serving platter. Spread buttercream on top to edges. Top first layer with second cake layer, cut side down. Repeat frosting and layering with remaining two layers. Frost top and sides of assembled cake with remaining buttercream. 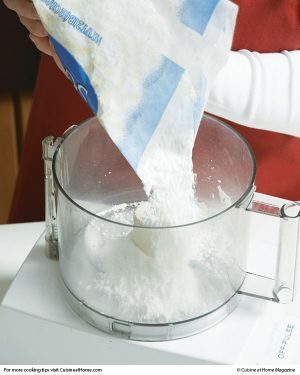 With this simple trick, and a bit of thinking ahead, you can save time, and mess, when baking.